A hernia is defined as a protusion or projection of an organ or a part of an organ through the body wall that normally contains it. The risk for inguinal hernia is highest among Caucasian males. Other risk factors include a history of another hernia, advanced age, abdominal wall injury, history of abdominal aortic aneurysm and smoking. Inguinal hernias have a variety of clinical presentations ranging from a finding of a painless bulge in the groin region on routine physical examination to emergent, life-threatening presentations due to bowel strangulation. Most hernias can be diagnosed on physical examination as a bulge in the groin while coughing or straining. The definitive treatment of all hernias, regardless of their origin or type, is surgical repair. 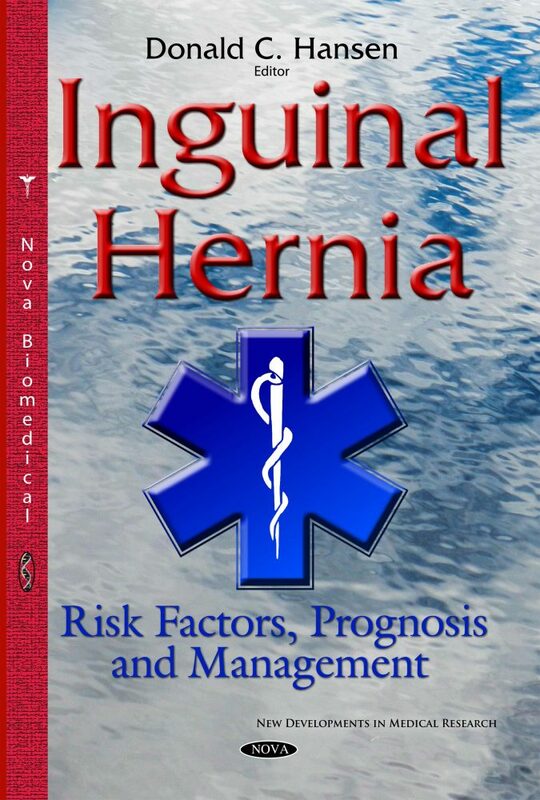 The authors of this book examine the risk factors, prognosis and management options for inguinal hernia.